Show that 3.142678 is a rational number. In other words, express 3.142678 in the form `p/q ,` where p and q arc integers and `q!=0` . Show that `0. 3333. . . .=0. bar3` can be expressed in the form `p/q` , where p and q are integers and `q!=0` . Doubtnut is popular amongst CBSE students as the most reliable and preferred online learning app. We’re facilitating fully-solved CBSE Class 9th Maths NCERT Solutions in video tutorial format for students to do their homework faster and prepare for the board examination. From chapter 1 Number System to chapter 15 Probability, find here customized answers for every question given in your Class 9th Maths Book. The video solutions have been created by the IITians and best mathematicians of the country in easy to understand Hinglish (Hindi-English). Besides following the customary methods of solving a problem, the expert mathematicians from Doubtnut have also added special suggestions and math tips that will make you fall in love with the subject. These given NCERT solutions are in self-explanatory video tutorial format offering you ease of learning on your mobile or personal computer. All the exercises from each chapter have been covered with step-by-step detailed explanation. The solutions are prepared to keep in mind the latest CBSE board curriculum and exact syllabus. Make sure to go through these NCERT maths class 9 solutions thoroughly. These will assist you in knowing the latest exam pattern and marks distribution. Doubtnut has provided NCERT class 9 maths pdf in exercise-wise fashion to make navigation easier for the students. The NCERT Solutions for Class 9 Maths pdf are based on the latest CBSE syllabus while following the latest version of the NCERT Maths textbook, which incorporates the CCE guidelines. Given here are all the exercise-wise NCERT video tutorials of Class 9 Maths. Number System is one topic that is important with the perspective of your Class 9th final examination and also if you would like to go for competitive examinations such as JEE Mains in future. 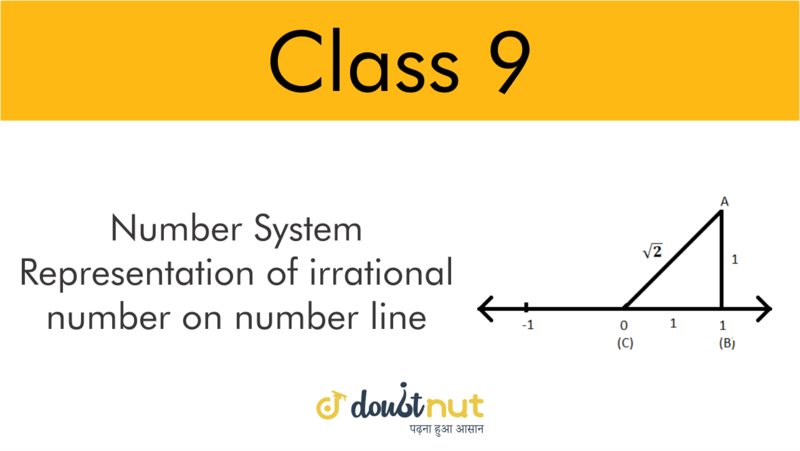 Find here NCERT solutions for class 9 maths chapter 1 Number Systems. With given NCERT video solutions, students can not only clear their doubts but can also develop a greater understanding of the topics towards enhancing their problem-solving capabilities. A Polynomial is an expression containing two or more algebraic terms. They are often the sum of several terms containing different powers of variables. 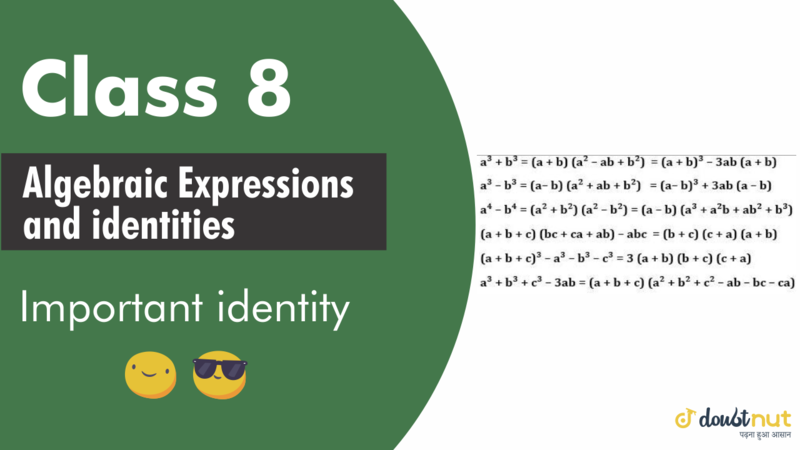 This NCERT for CBSE class 9 maths will help strengthen your fundamentals in this chapter. Refer to these NCERT solutions for Chapter 2 Polynomials anytime, while preparing for final exams or while doing your homework. The coordinate geometry is an important branch of geometry. It is one of the easiest and interesting of NCERT class 9th Maths. In coordinate geometry, the position of the points on the plane is defined with the help of a well-arranged pair of numbers known as coordinates. In Chapter 3 you’ll learn about coordinate geometry and formulas that are commonly used in coordinate geometry. In Chapter 4 you will learn about the Linear Equation in Two Variables, also their peripheral rules. It is a chapter that’ll set as a foundation stone to help students’ further deal with the complex level of linear equations problems meritoriously. The Chapter 5 Introductions to Euclid’s Geometry may seem to be like only about the shapes and properties of triangles, quadrilaterals and circles. However, if you really want to know what is Geometry in the real sense then you must begin learning this chapter from the very first principle of Axioms. This chapter will also take you through the journey of shapes and the history of Maths and Geometry. NCERT Chapter 6 Lines and Angles will introduce some basic definitions and properties related to the lines and angles in the geometry. This chapter will set up a building block for various concepts of higher-level understanding in Geometry. Some interesting concepts that you will be learning are Intersecting Lines And Non-Intersecting Lines, Pairs Of Angles, Parallel Lines And A Transversal, Lines Parallel To The Same Line, Angle Sum Property Of A Triangle, Summary and much more. Practice is given exercise wise NCERT solutions to master this topic. A triangle is a closed figure that is made up of three line segments. It consists of 3 line segments and 3 angles. The Triangles and Its Properties is one of the most important chapters of the geometry. It is also a highly scoring subject with the examination point of view. In chapter 7, you will learn all about the triangles and its attention-grabbing properties. Some of the most crucial concepts covered here are Congruence of triangles and criteria for congruence of triangles, properties of a triangle, and inequalities in a triangle, etc. The exercise wise NCERT solutions for class 9 maths chapter 8 Quadrilaterals are provided here. In this chapter, you'll get introduced to some important topics of geometry like angle sum property of a quadrilateral, types of quadrilaterals, and properties of a parallelogram etc. The NCERT solutions given here covers all the exercise wise questions and concepts related to this chapter. All the solutions are in step-by-step manners to help the learners further imbibe the concept. Do you know that Rectangles, Squares, and Rhombuses are all Parallelograms? 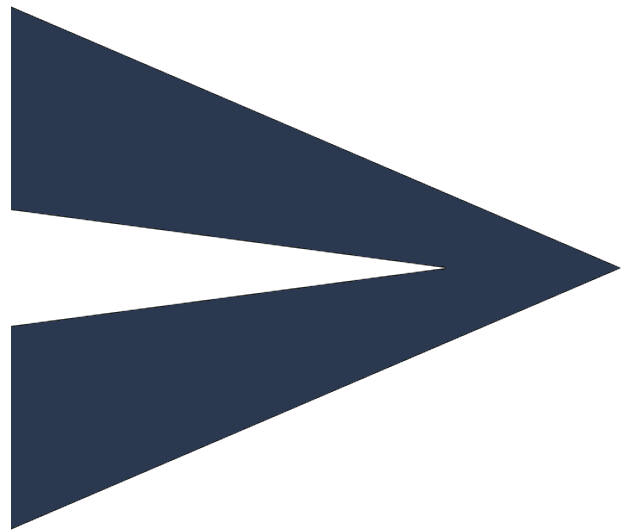 A parallelogram is a flat shape whose opposite sides are parallel and equal and opposite angles are equal and supplementary. NCERT video tutorials for chapter 9 areas of parallelograms and triangle are given here for students to learn maths in a better way. Given NCERT solutions will prove out to be helpful for students to learn the topic with great depth. Likewise, concepts related to triangles are also explained here, for instance, every triangle comprises of 3 vertices and it has 3 bases and 3 altitudes. Here, you’ll find comprehensive study material for chapter 9 areas of parallelograms and triangle. Chapter 10 is all about circles and their amazing properties & related terminologies. The circle is a cyclic figure with no edges or corners. You’ll also learn chords, radius, sectors and cyclic quadrilaterals. With the in-depth knowledge of this chapter, you will be enriched with logical thinking capabilities and problem-solving skills. You need to learn and understand this topic well in order to understand other topics of maths as well. Chapter 11 Constructions explains the basics of constructions and how we can construct the basic geometric outlines such as bisector of the given angle, constructing a perpendicular bisector of a given line segment, etc. Every exercise of this chapter is explained with the help well-labelled figures along with the explanatory text. The video solutions include step by step explanations to make things easy to learn and implement. Anyone can calculate the area of a triangle knowing the lengths of all 3 sides, using a simple formula which has been known from past 2000 years. This formula was given by Hero of Alexandria and hence called “Heron's formula”. In chapter 12, Heron's Formula is explained in detail by experts. It will be helpful in making your base stronger in mathematics. NCERT Maths Chapter 13 Surface Areas and Volumes further allow students to explore the world of geometry to the fullest. You’ll be solving some new form of geometric expressions and their identities and it’ll help hone your geometric Surface Areas and Volumes solving skills. Statistics is a branch of maths dealing with collection, arrangement and analysis of data. Understanding and learning this concept is very important as it is applicable to a wide variety of academic fields from the business and humanities to government and industry. Presented here are video tutorials on NCERT Maths Chapter 14 Statistics to learn this topic. Probability is the chance or possibility of an event occurring. There are many events that can be predicted with full certainty using the concepts of Probability. This Chapter is all about it. Presented here are fully solved exercise wise NCERT video solutions for chapter 15 Probability to help students learn at their own pace. Exercise 16.1 Introduction Exercise 16.2 Numbers In General Form Exercise 16.3 Games With Numbers Exercise 16.4 Letters For Digits Exercise 16.5 Tests Of Divisibility. Doubtnut is India’s leading online learning destination for students of class 6th, 7th, 8th, 9th, 10th, 11th and 12th. Our aim is to help the student achieve better grades in board examination and score the highest possible rank in the competitive exams. You can also install DoubtNut App – India’s leading e-learning app for Maths students of all age groups. With the highest 4.4 Google Play Store rating ‘Doubtnut App' offers downloadable/Sharable complete NCERT Solutions in self-explanatory video tutorials formats. 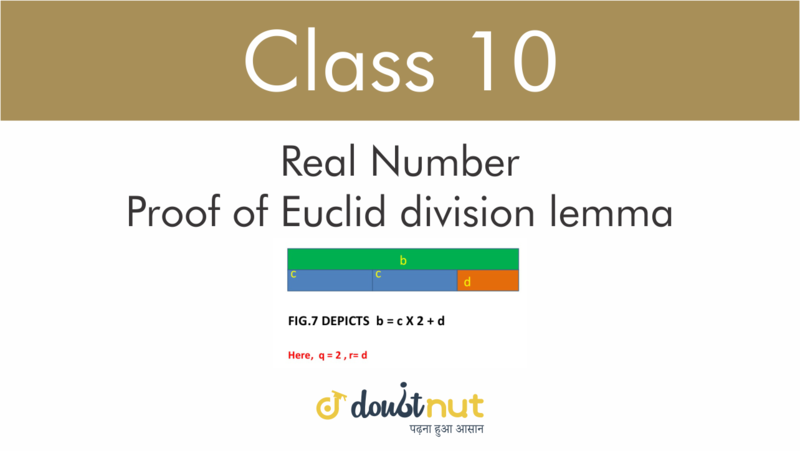 Also, keep visiting Doubtnut for NCERT Solutions as well as other interactive CBSE based study material. Get started today!